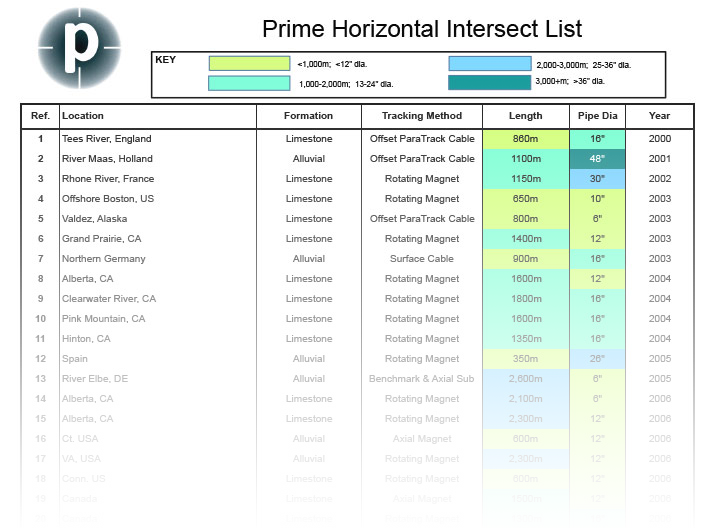 Prime Horizontal’s mission is to develop and provide to its customers new and innovative guidance products and solutions for the steering of their difficult horizontal directional drilling (HDD) projects – projects for which conventional technology often proves inadequate. From the very beginning, Prime Horizontal has remained dedicated to this mission, thus developing an international reputation of excellence in both its guidance systems and service. Prime Horizontal’s goal has always been to put its customers first by providing the most cost-effective and timely service with the highest degree of professionalism and ethical business practices. Prime Horizontal’s rapid growth in the years since its start has been a measure of its success in keeping its mission in sight and in reaching its goal for every project. Since its inception, Prime Horizontal has been a driving force for the continuing development of systems and methods for tackling difficult crossing projects. Prime has done more than use conventional technology to solve field problems. Projects brought to Prime by its customers continues to lead to new, efficient and cost-effective solutions, thus adding more capabilities to Prime Horizontal’s toolkit and to customer’ options. Prime Horizontal’s success was initially based on the development in 1998 -1999 and successive improvements of the ParaTrack system of horizontal guidance. Originally developed by Vector Magnetics as an underground parallel-drilling location system, the ParaTrack system was co-developed and continues to be improved by Prime Horizontal and Vector Magnetics for specific application to the HDD market. 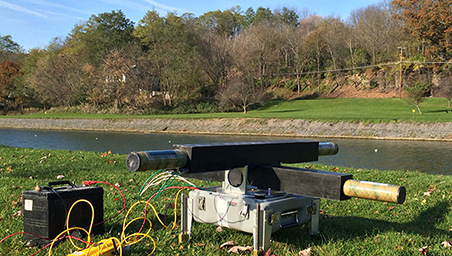 The Rotating Magnet Ranging Service (RMRS) is typically used for horizontal to vertical well intersections for production of Coal Bed Methane (CBM). The RMRS kit consists of a Rotating Magnet Sub, of length approximately 18.5 in, which sits between the bit and the mud motor of the horizontal, directional well. This sub contains stacks of powerful rare earth magnets that create an AC magnetic field when rotating with the bit. 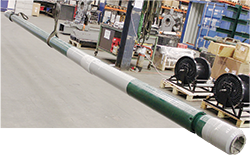 This magnetic field is monitored by the ParaTrack-2 Sensor Probe located in a nearby vertical well on wireline, with a usable range of up to 220 ft (67 m), and provides a distance and direction from the Sensor Probe to the Drill Bit. While driven by Prime Horizontal’s presence at the drill site, a significant departure from our conventional service business has been the development of ProData, our purpose built rig data display and transmission system. On every drill site you will find in one form or another 3 fundamental components, The drilling rig itself…the front line of the operation, the power pack providing the hydraulic energy to drive the drill, and the mud system, providing lubrication and transport for the cuttings removed from the drill face. The Pro Data system is designed to measure drilling parameters from each of its sensors built into and around the drill site, whether they are rig, mud or power sensors. Signals from the sensors are transmitted via a blue tooth wireless connection to the logging module on the drill site where it is viewed by the rig operator. From here the collected information is transmitted to a central database where it may be viewed graphically online through our client web portal in the client office. While Prime Horizontal started as a HDD service company, our presence at the drill site and our knowledge of the drilling operation quickly led to providing drilling tools to our customers. Now, we offer a complete line of drill bits, hole openers, reamers and mud motors, together with a field mobile break out unit for the in-field repair of motors. We also provide sales of the ParaTrack system as well as training in the use of ParaTrack.